Last Friday night Stuart and I went to see Phelim McDermott's new production of Aida performed by the English National Opera at the London Coliseum in the London's glitzy West End. 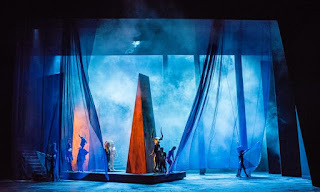 Phelim McDermott has produced some thrilling productions for the ENO and with the spectacular costumes, an extravagant set, and lots of fire - this full-on production promised much. And it mostly delivered on that promise. Aida's timeless story of duty, love and betrayal needs a strong dramatic portrayal of slave girl Aida at the heart of the love-triangle and Phelim McDermott is lucky to have a remarkable central performance from the American soprano Latonia Moore in the title role. The slightly uneven first half settled better in the second. 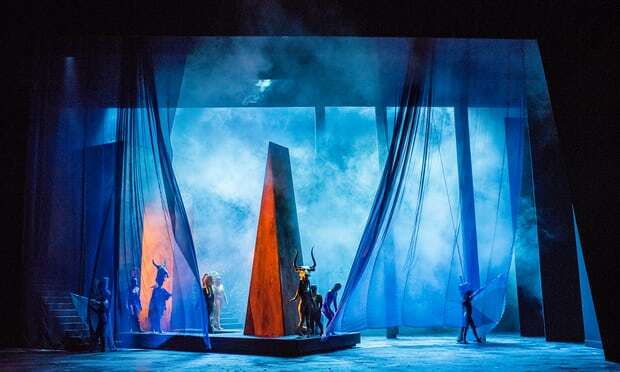 Michelle DeYoung’s Amneris has warmth and grandeur although we were perhaps less convinced that Gwyn Hughes Jones's Radames could be either a warrior or lover.